For the seventh consecutive year, Flossmoor School District 161 female students will have the opportunity to participate in the annual Girls on the Run program. The Flossmoor District 161 school board voted 5-1 on Nov. 13 to approve a tentative 2018 tax levy that increases 2.1 percent with the Consumer Price Index. Applause, applause for our school board members today! 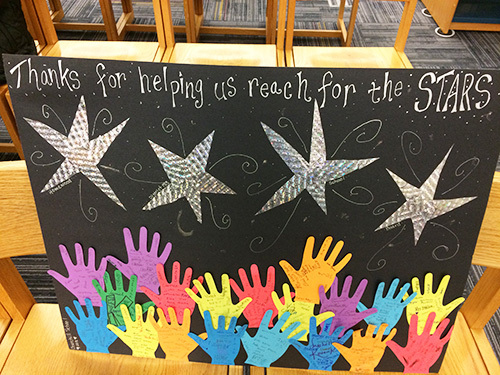 On Tuesday, Village of Homewood trustees approved a resolution declaring the day, and District 153 children prepared cards of thanks presented at the school board meeting on Monday, Nov. 12. Read more about Applause, applause for our school board members today! The Illinois State Board of Education has released its annual Illinois Report Card, a rundown of how each school and school district in the state is performing. Compiled from information ISBE collects from every Illinois public school, the Report Card offers demographics and statistics about school districts and individual schools, comparing them to statewide data. Bus service in Flossmoor District 161 has shown improvements from the 2017-18 school year when issues like numerous route changes at Western Avenue Elementary and late buses sparked complaints from parents.